Aluminium fencing has always been a popular choice for Brisbane pools, and for good reason. It’s affordable, requires little maintenance, is quick and easy to install, and comes in a wide range of colours and styles. When it comes to pool fencing in the tropical Brisbane climate, you’re also looking for material that’s rust resistant and durable, without compromising on style. 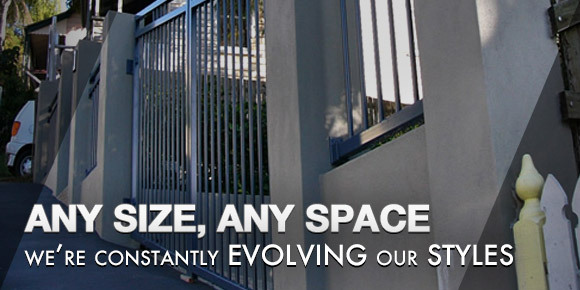 Look no further than aluminium fencing from FenceCorp! If you have a pool at your home or business, the safety of your family, colleagues or clients is not only important – it’s a legal responsibility. Every FenceCorp pool fence complies with the highest Australian safety standards. Your new fence will provide essential pool safety without detracting from the look of your backyard. With new pool safety laws coming into effect, now is a great time to buy a new pool fence. At affordable prices and with the best service in Brisbane, FenceCorp’s aluminium pool fencing is exactly what you’ve been looking for. Why use aluminium pool fencing? The hot, sticky Brisbane summers mean that pools are practically an essential lifestyle requirement! Making a choice about how to safely and attractively fence that pool can be tricky. Here at FenceCorp, we have the answer – aluminium pool fencing! In recent years, aluminium fencing has increased in popularity as a pool surround. It’s affordable, simple to install and the smartest design for pool and garden fences. It’s strong and durable, resistant to rust, and weighs very little, making it easy to transport and install. All of these factors make it the perfect material for pool areas and in the garden. 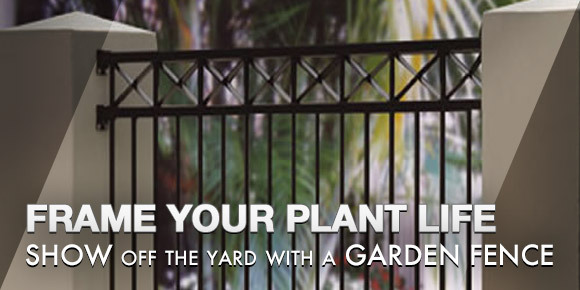 You won’t have to spend valuable time or money maintaining your fence or fixing water-damaged areas. When it comes to outdoor living designs, less is always more. With our aluminium panels, you can be sure that your pool fence won’t look intrusive or hinder your view of Brisbane’s balmy skies. Rather, your fence will act to enhance and preserve the beauty of your pool area while maintaining the high level of safety you require for your family or friends. You won’t have to sacrifice one for the sake of the other. Best of both worlds! By planning ahead and knowing what you want, you can use aluminium fencing to create a more spacious entertainment area for a much better price. The panels suit all housing types – from a modern home to a more traditional Queenslander – so you know they’ll look great and give a real boost to your current look. Another thing to keep in mind is that aluminium panels are incredibly versatile and can be used for much more than fencing. You can also use them as wind proofing screens for your pool-side patio or as side panels for a gazebo. You can use them as privacy screens to keep prying eyes away while you and your family swim. In a wide range of colours and finishes, aluminium fencing is proving as popular in hip modern cafes and hotels as it is by the pool in contemporary Brisbane homes. Wherever you choose to use it, aluminium will definitely not let you down. As mentioned earlier, aluminium fencing is also incredibly safe. The materials used are strong and durable, and each panel is welded for extra strength. The materials are designed not to rust and can withstand the often destructive Queensland weather. We also ensure that all of our products comply with the state and federal safety laws regarding pool fencing. You can rest easy knowing that your pool is fenced safely at all times, and well within the national safety guidelines. As required by Queensland law, all pool fences must be at least 1200 mm in height. They must not have horizontal rails closer than 900 mm apart, or vertical posts greater than 100 mm apart. Any gap under the fence must not exceed 100 mm. Also, there must be no less than 1100 mm between the top of the highest lower horizontal support and the top of the fence. FenceCorp takes these laws very seriously and adheres to them all. We always make them the highest priority when creating custom fencing designs. For more information about pool safety and the new Queensland laws, check out the Queensland Government’s Guidelines for Pool Owners. Here at FenceCorp, our aluminium pool fencing is the best quality fencing on the market today. We are committed to improving safety in and around the pool while providing you with a stylish, low maintenance fencing option. All of our panels exceed the current Australian standards and are approved by all building authorities across the country. You can’t go wrong with FenceCorp. We can custom order a wide range of size, styles and colours – just ask us! 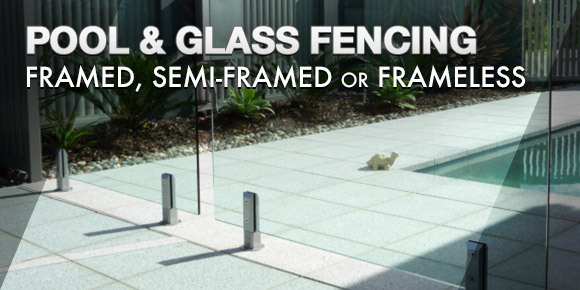 All of the fencing products we offer are manufactured and powder coated here in Australia by us. We won’t sell any crimped, swagged or imported panels. With FenceCorp, you know you’re getting quality, locally made products. 45 degree with side bolting. There is virtually no shape that cannot be achieved, but we definitely encourage you to visit the gallery page for different style ideas. As ever, we’re more than happy to offer advice on styles, designs and colours! Many of our fencing designs offer you the option to fit custom-designed spears to the top of your pool fence. They’re a very popular way of adding a unique look and a bit of individual style to your entertainment area. They truly do bring character and visual interest to your home. There are 6 standard designs currently available, but as always, you are welcome to enquire about any custom designs you may be interested in, or any ideas you might have. FenceCorp provides delivery and installation services for the greater Brisbane area, and delivery of fencing products to the Sunshine Coast and Gold Coast areas. For delivery, your order will be carefully packed onto a pallet and couriered by freight or truck transport. Please note that for all other areas, it is the responsibility of the customer to arrange delivery to their desired location. Installation can be done by the home or business owner, or, if you’re in Brisbane, one of our friendly installation experts will be happy to assemble your fence for you. FenceCorp offers you the option to install your own fencing, or to leave it to our professional installers. It’s entirely up to you. If you prefer to leave it to the professionals, your fence could be up in about a day. Call our team to advise the details of your property and fence requirements and we’ll be able to give you a better idea of the cost and time frame expected for installation. If you’d rather do it yourself, all you need is a spare weekend and the right tools. We’ve provided a handy how-to guide on our website to make the process that much easier for you. We’re committed to quality products and professionalism in service, no matter how you choose to install your fence. Know that with FenceCorp, putting together your own fence has never been so easy. If you decide to go the DIY route, your materials will arrive pre-assembled for easy fitting, rather than as a cheap flat pack. Also, you will need one post longer than the standard posts for the pool gate latch. We recommend the use of a G8Safe Pool Gate latch and hinges or the Manga Latch Series 3 top pull. A DIY pool fencing kit including 4 panel brackets, 1 post, and one panel, will set you back about $99, saving you a tonne of money. On a sloping ground, ranking the panels often looks much better and eliminates gaps under the fence. This is definitely a safety requirement, so you’ll have to keep that in mind when ordering your panels. Depending on the pool fencing regulations in your area, your pool fence can be ranked to suit the slope of your yard. Drilled through rails and welded underneath. Face welded to the front of the rail. We have over 20 different pool fence styles currently available for Brisbane and South East Queensland properties. 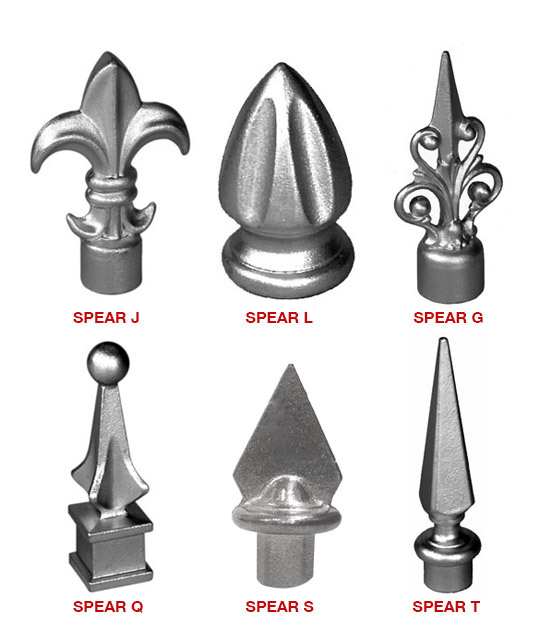 Our gallery is chock full of beautiful examples of what you can expect from your FenceCorp custom design, from ornate to functional, and from standard black to any colour you choose. Quality pool fencing is essential if you live in Brisbane. Be sure your pool fence is safe, sturdy and looks amazing by choosing a fencing product from FenceCorp. Contact FenceCorp on 3715 5055 and get custom-designed pool fencing for your Brisbane home or business today!